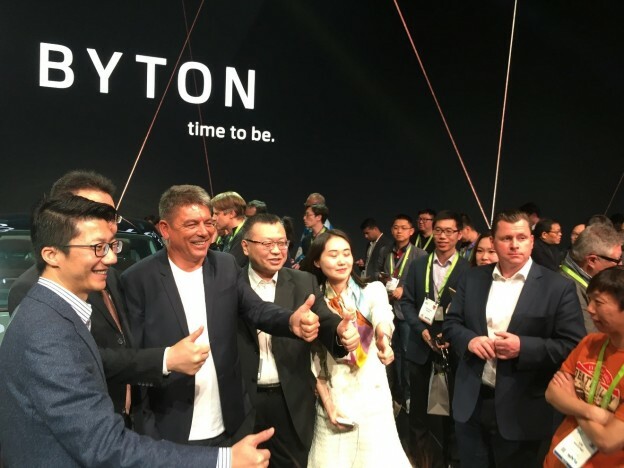 Dr. Carsten Breitfeld, CEO, Co-Founder and Chairman of the Board of Byton taking a picture with members of his team, including Ding Qingfen, Head of External Affairs, Public Relations and Government Affairs. CES has become one of the world’s major automotive shows. 2018 was no exception. 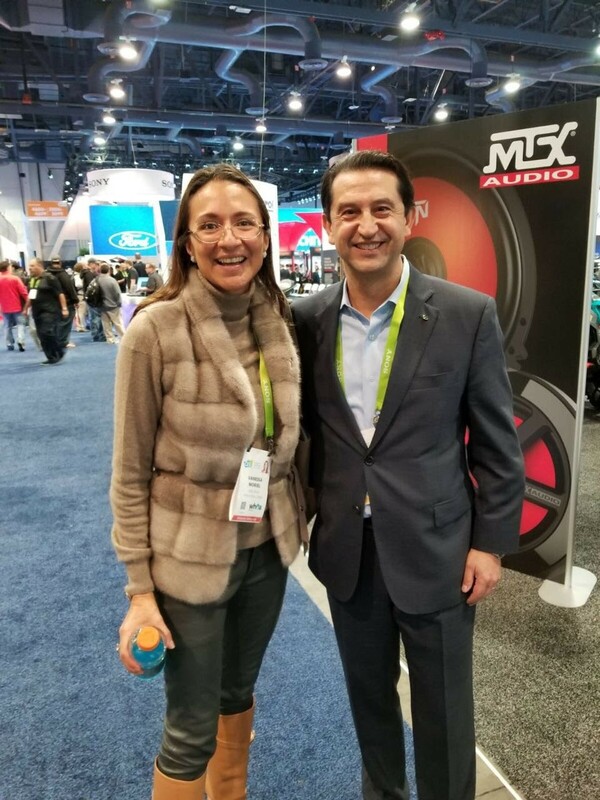 Taking place January 9-12, CES 2018 featured all the hottest tech, futuristic ideas and autonomous news that can fit into a 290,000 square-foot exhibit space. 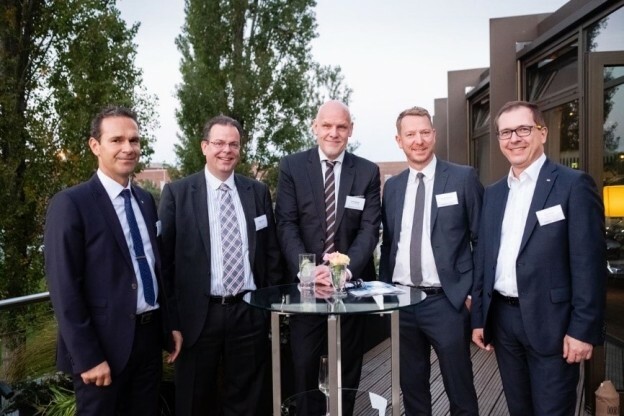 LIASE Group was present to network with global automotive executives and keep abreast of the latest industry trends. 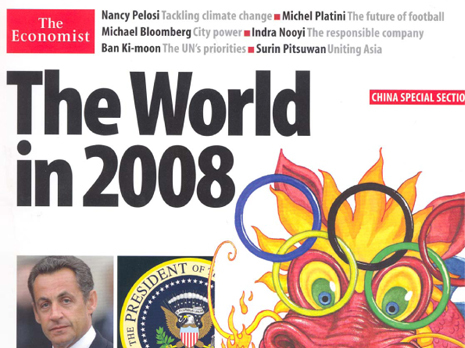 This being the consumer electronics show, carmakers made a number of connectivity announcements. Toyota announced Alexa is coming to some of its Toyota and Lexus cars. The Japanese automaker joins BMW, Ford and Hyundai in offering Alexa voice integration. Jaguard LandRover announced a competing HomeLink Connect technology to launch this year. Ford announced that it’s integrating Waze into its Sync 3 infotainment system, so users won’t have to check or deal with their phones while driving. Hyundai showed off an AI enhanced voice recognition technology that can monitor vital signs called the Intelligent Personal Cockpit. 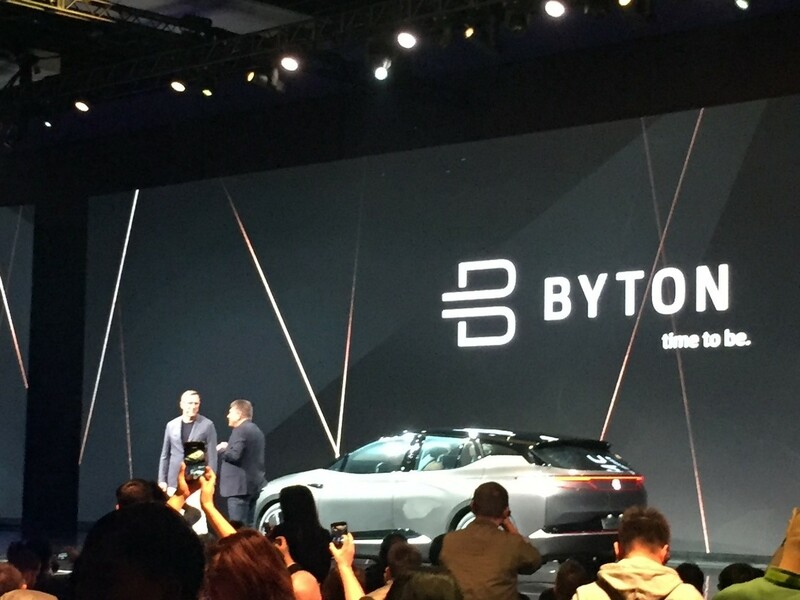 Byton, a Chinese electric vehicle startup founded by the former head of the BMW i8 program Carsten Breitfeld and the former managing director of Infiniti China Daniel Kirchert presented a concept SUV. The automaker promised a range above 300 km and a price point of US$ 45,000. The interior features a large display that spans the entire dashboard. Hyundai showed off the new Nexo SUV with the company’s latest generation of hydrogen fuel cell technology. Nissan unveiled “brain to vehicle technology” that uses brain waves to sense when you are going to take certain actions. 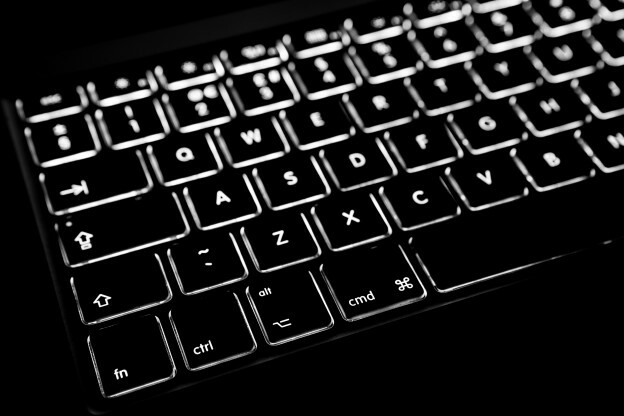 The technology does not yet have a release date. Kia completed showed off a battery-electric concept with a 64-kWh battery pack allows 350 km plus range. Delphi’s mobility arm, Aptiv, showed a self-driving car. Working together with Lyft, the supplier offered self-driving rides to dozens of destinations. 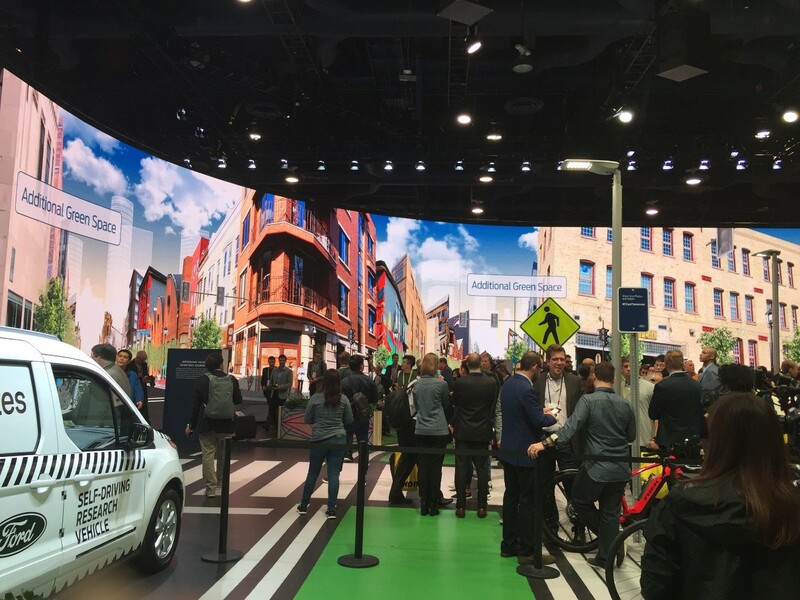 Ford built a small indoor street to showcase its vision of integrated mobility including cars, bikes, pedestrians and Ford self-driving vehicles. 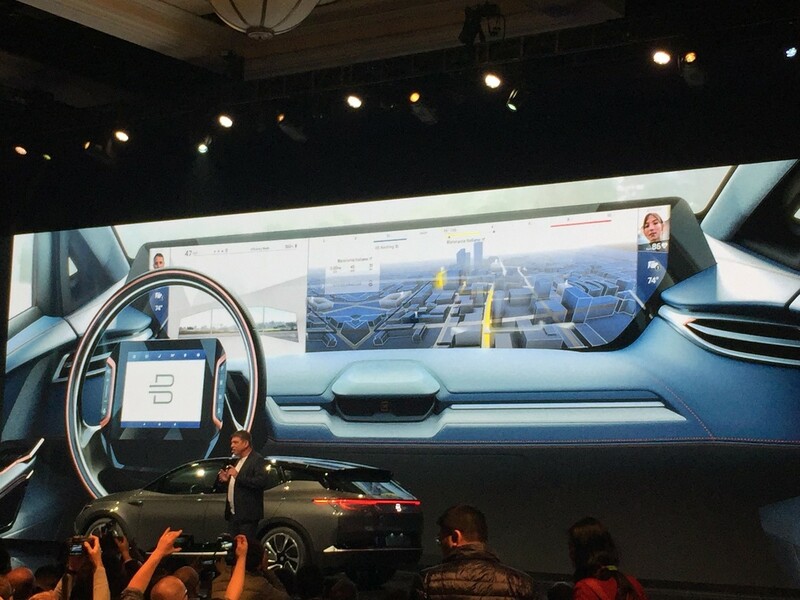 Integrated mobility was also the topic of Ford CEO Jim Hackett’s talk at CES. 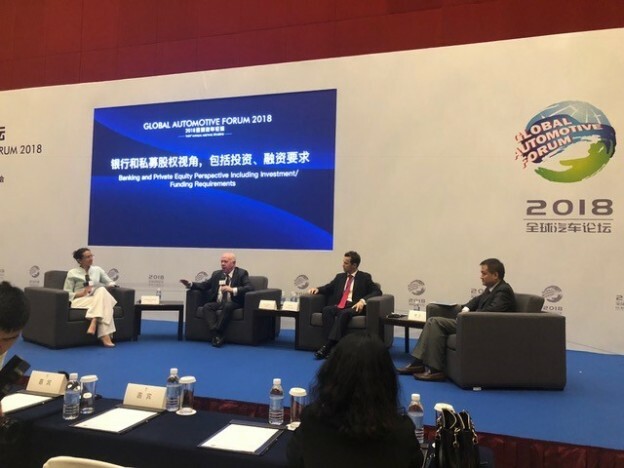 In his keynote address, Hackett talked about shared transportation and smart cities to help with the development of autonomous driving and connectivity. The Detroit automaker unveiled a new self-driving platform with partners like Lyft, Domino’s Pizza and Postmates. It also made announcement regarding its work with Qualcomm to install “vehicle-to-everything” (V2X) cellular technology in all of its cars. 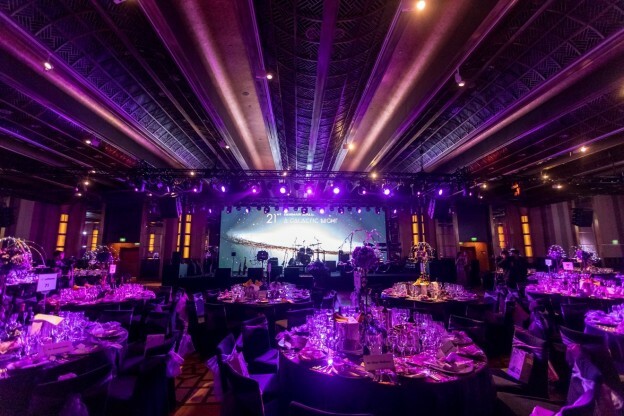 LIASE Group was proud to serve as a co-sponsor of the 2018 edition of CTS. 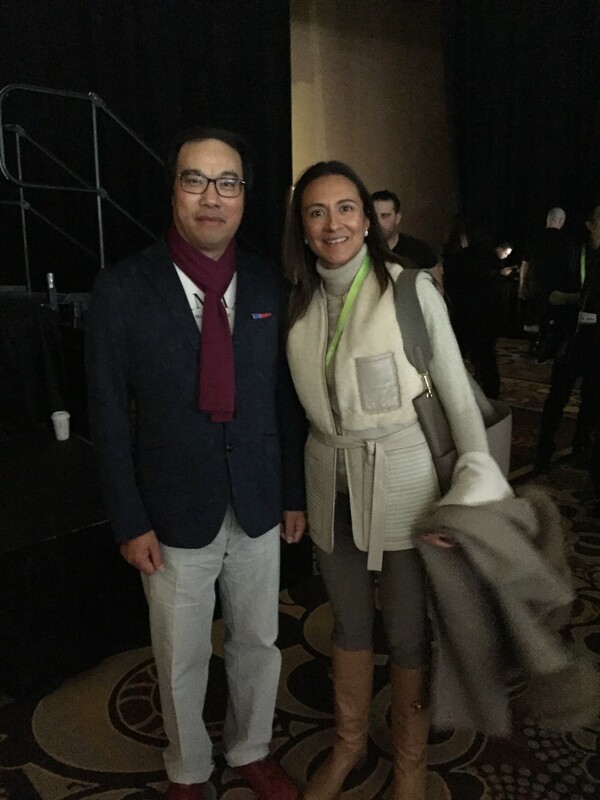 Vanessa Moriel with José Muñoz, Chief Performance Officer, Nissan Motor Co., Ltd. Muñoz was Chairman of Nissan North America from 2014 to January 2018. 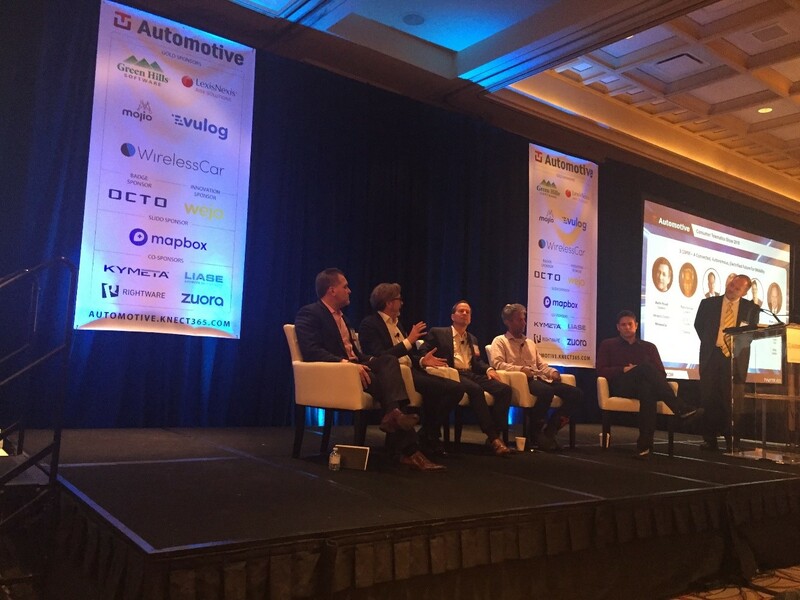 John Bukowicz, Managing Director Americas, LIASE Group speaking on a panel at the 2018 Consumer Telematics Show with Martin Rossell, Managing Director, WirelessCar; Rahul Sonnad, CEO & Co-Founder, Tesloop; Cletus Nunes, Director of Sales, Octo Telematics North America; Russ Lemmer, EVP of Mobility, Silvercar. 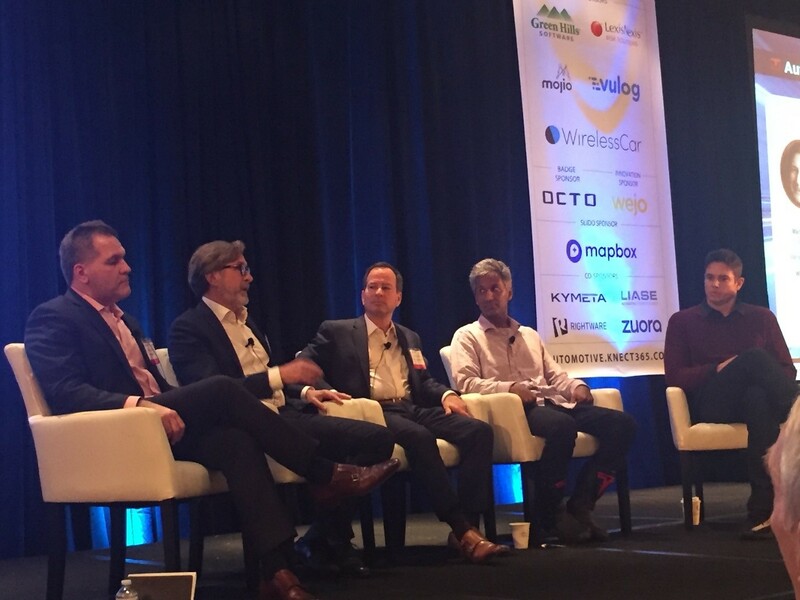 John’s panel at CTS was titled “A Connected, Autonomous, Electrified Future for Mobility.” The panel discussed whether electrification or automation technology are redefining traditional mobility models. 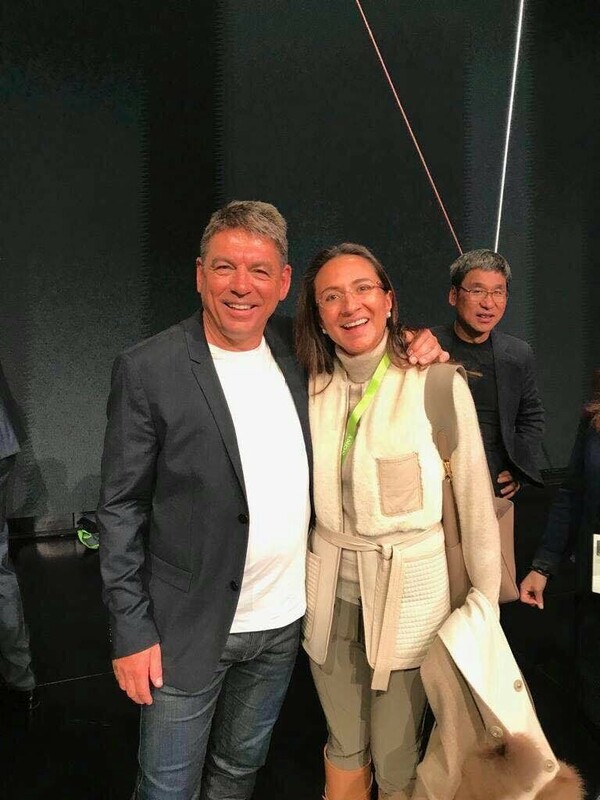 Carsten Breitfeld, CEO & Co-Founder of Byton, with Vanessa Moriel, Managing Director Asia Pacific with LIASE Group. 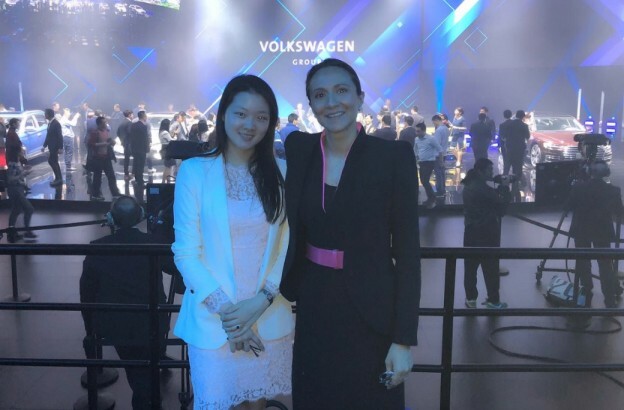 LIASE Group’s Vanessa Moriel with one of the leaders of Byton. 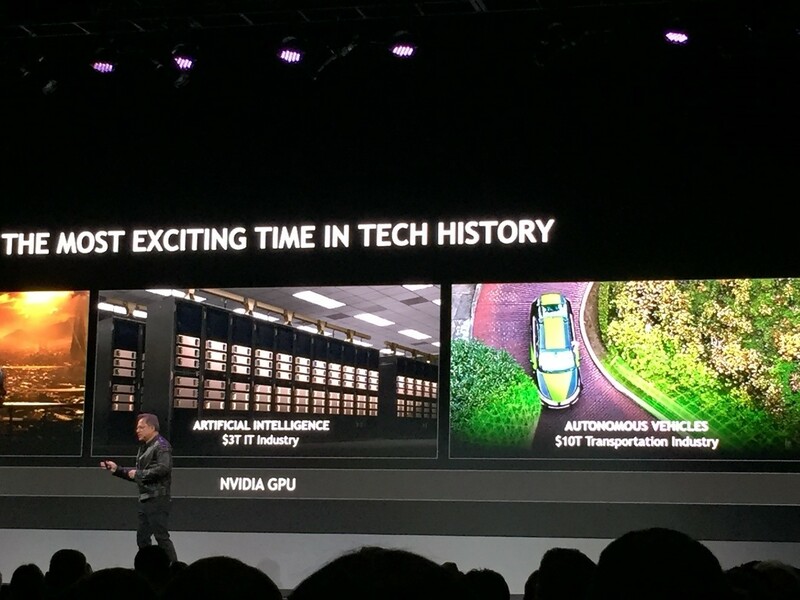 In a keynote address, NVIDIA CEO Jensen Huang unveiled a slew of news and initiatives. He talked about training AI in virtual space as well as the certification of NVIDIA’s drive stack to ISO 26262 standard, with full functional safety. NVIDIA announced the Xavier system on a chip, with about 9 billion transistors. 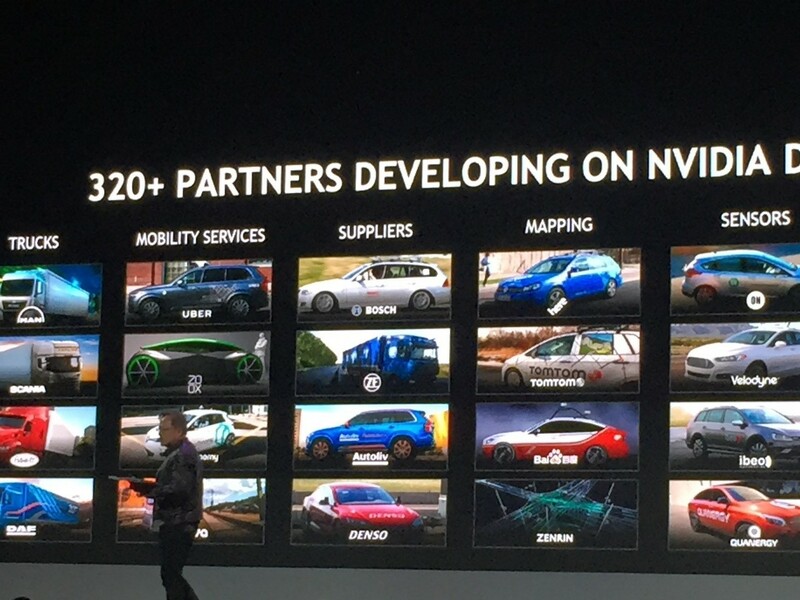 2000 Nvidia engineers have been working for three years the chip. The company’s vision is that all the processing needed by self-driving car, from image processing, sensor calibration, perception, localization, and pathfinding can run on Xavier. 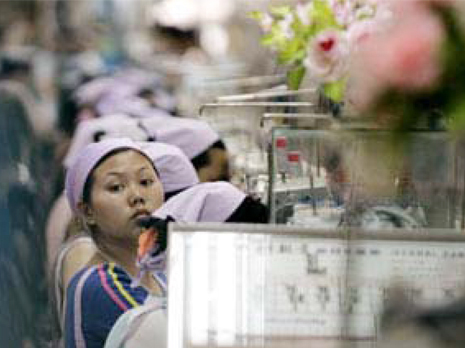 They are working with 320 partners to advanced the development of this technology. 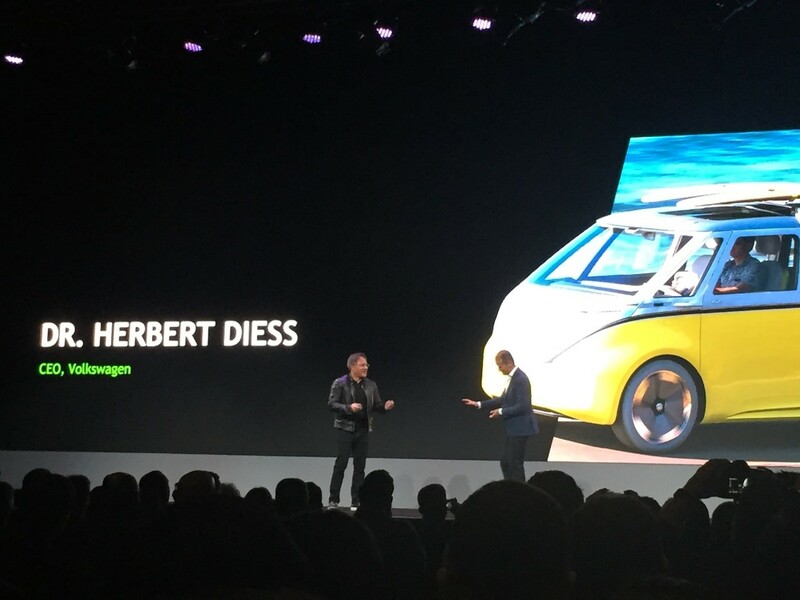 Dr. Hebert Diess, CEO of Volkswagen was on hand to announce that it will use Nvidia’s Drive IX in some of its upcoming vehicles, including the I.D. Buzz electric bus. Drive IX is a software developer kit that uses the Xavier chip. Volkswagen is planning to use the software for facial recognition, gesture control, natural language processing, etc. The German carmaker will also use Drive AR, a new augmented technology. Carsten Breitfeld and Daniel Kirchert, Byton’s co-founders present their concept SUV, which they believe will be the first ever truly smart car. 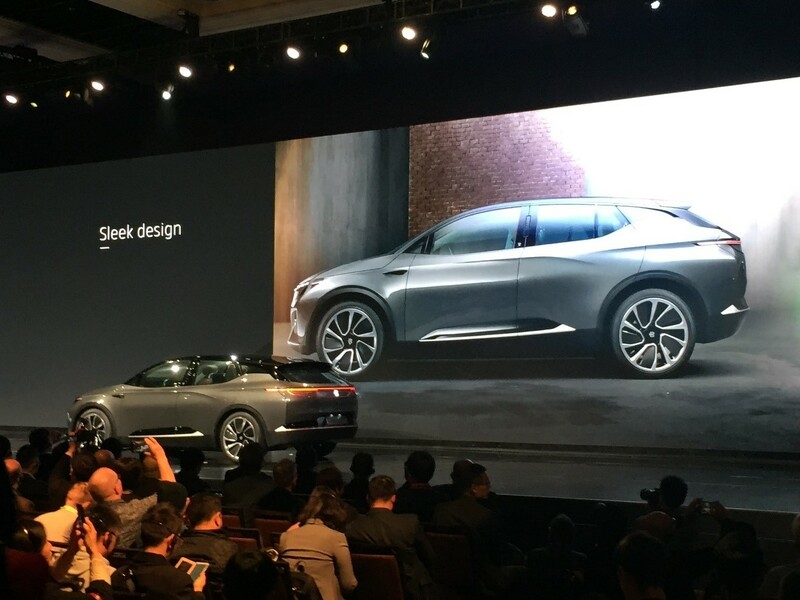 Byton’s design team is headed by Benoît Jacques, BMW Group’s former vice president of design. He is credited with having designed the BMW i3 and i8 electric cars. The most striking aspect of the Byton concept is the giant display taking up almost the entire dashboard. The screen is central to Byton’s concept of a car that bridge’s the automotive and digital lives of consumers. 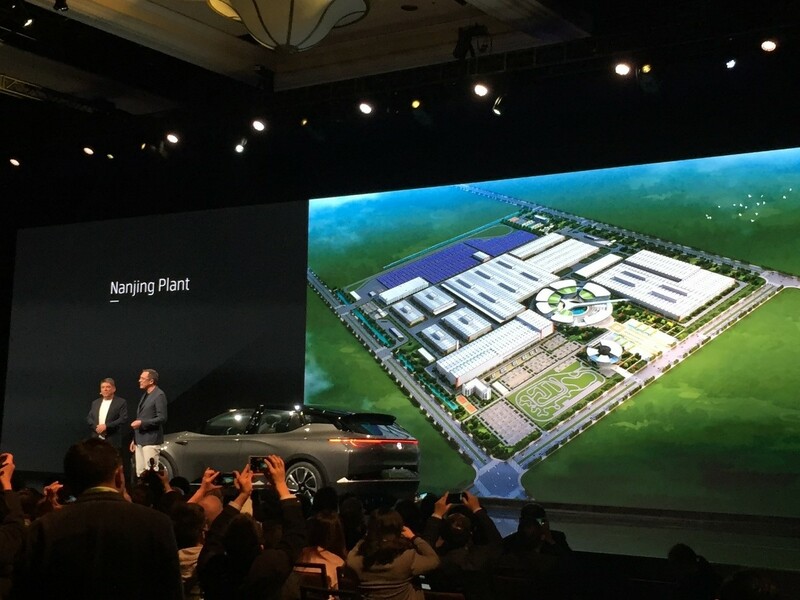 The Byton concept will be built in Nanjing, China. 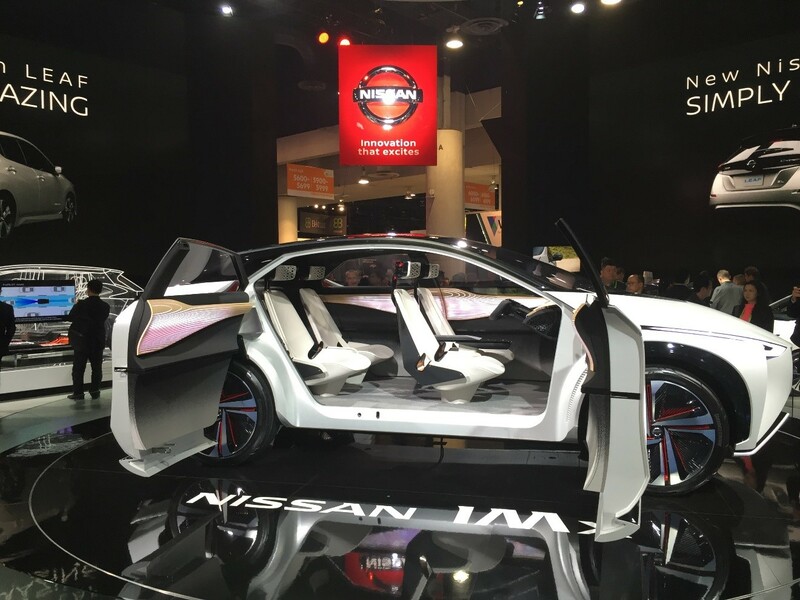 Nissan brought its IMx concept SUV to CES 2018 for its U.S. reveal. The all-electric SUV features a wraparound display in the front of the car that shows the entire surrounding of the vehicle. There are a number of external cameras to show blind spots. 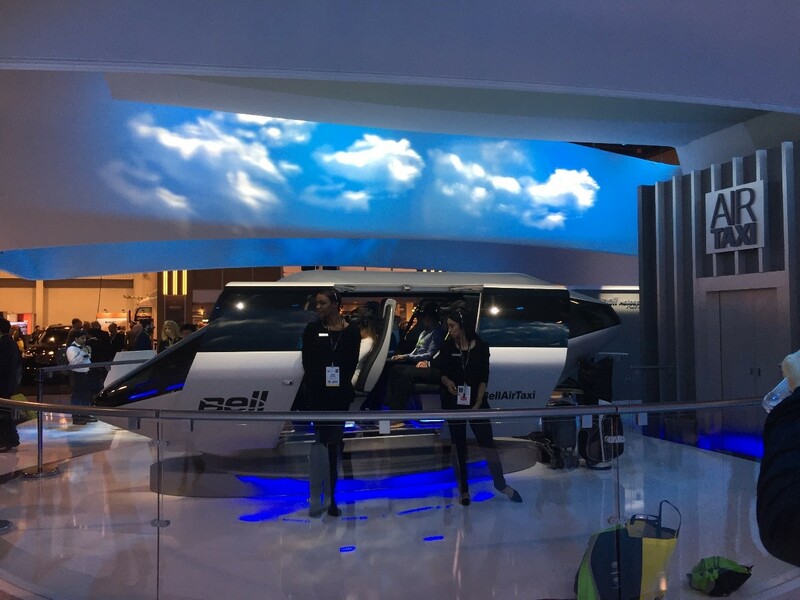 Bell helicopter made headlines with its electric flying taxi. The cabin of the helicopter was on display for all to see and the helicopter maker plans to unveil the full model at a later date. Bell wants to make helicopter travel a more affordable proposition that’s available to everyone. Ford built a small indoor street to showcase its vision of integrated mobility including cars, bikes, pedestrians and Ford self-driving vehicles. Integrated mobility was also the topic of Ford CEO Jim Hackett’s keynote address. 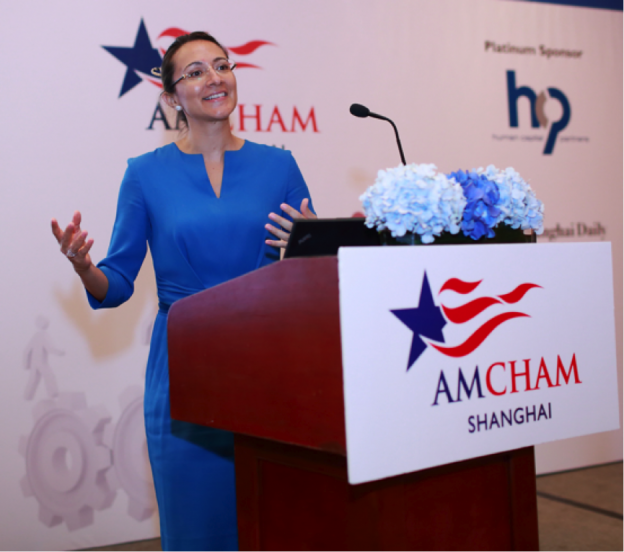 Hackett talked about shared transportation and smart cities to help with the development of autonomous driving and connectivity.